Furious 7. Vengeance hits home. That's how you will summarize the next installment of Fast and Furious. Of course after months of hiatus due to the death of one of its main actors, Paul Walker, we could say that is a posthumous work dedicated to said actor. This Universal Pictures action-thriller movie is directed by James Wan based on the screenplay written by Chris Morgan. It stars Vin Diesel, Paul Walker, Dwayne Johnson, Michelle Rodriguez, Jordana Brewster, Tyrese Gibson, Chris “Ludacris” Bridges, Elsa Pataky, Lucas Black, Jason Statham, Djimon Hounsou, Tony Jaa, Ronda Rousey. and Kurt Russell. 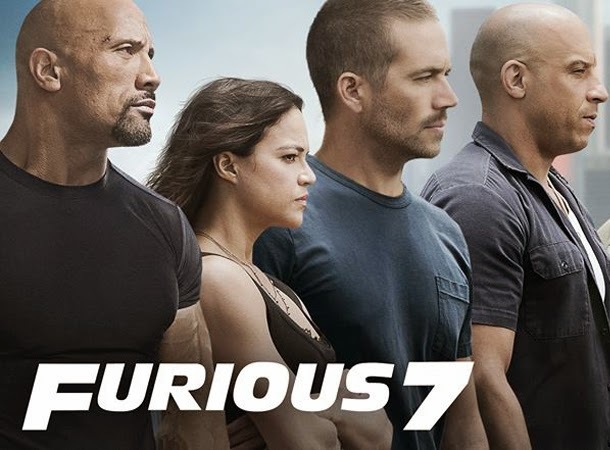 Check out the aid back poster of Furious 7, featuring the late Paul Walker. And presenting the official trailer of Furious 7. Furious 7 will speed up and race to theaters on April 3, 2015.